By all accounts, Ian Goodfellow would have been much safer had he stayed home rather than traveling to Sierra Leone in December of 2014. 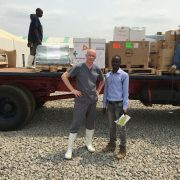 The country was in the middle of the worst Ebola crisis on record, and Goodfellow, a professor of virology at the University of Cambridge, had previously focused his research efforts not on Ebola but rather on norovirus, a common stomach bug. 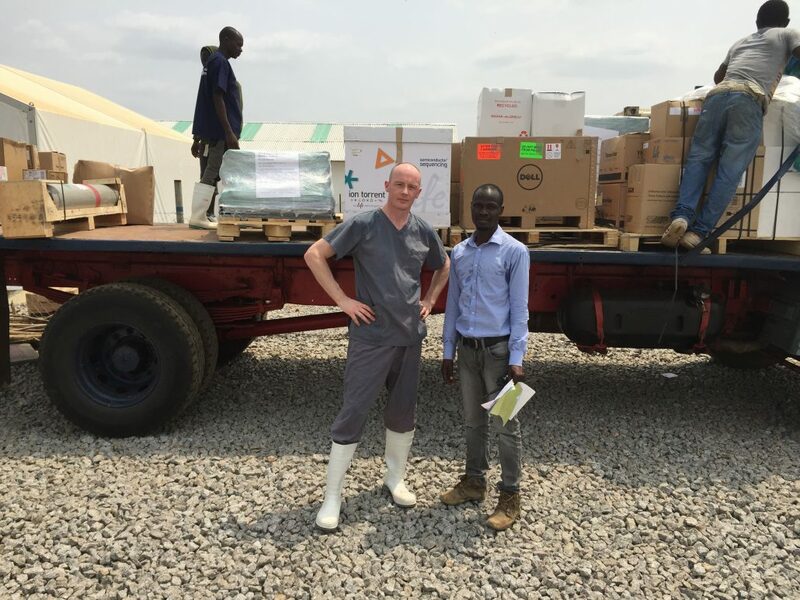 With so many lives at stake in West Africa, however, even a career’s worth of funding for his norovirus research from the Wellcome Trust charity couldn’t keep Goodfellow in the UK. 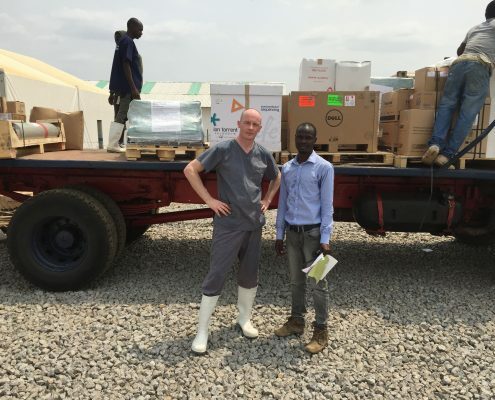 As the disease grew to epidemic proportions, Goodfellow, with the support of his virologist wife, packed his bags and headed to Makeni, Sierra Leone, where he would work on combating the spread of Ebola. “It was clear to me that this was something where I could use my years of experience for something useful,” he says. 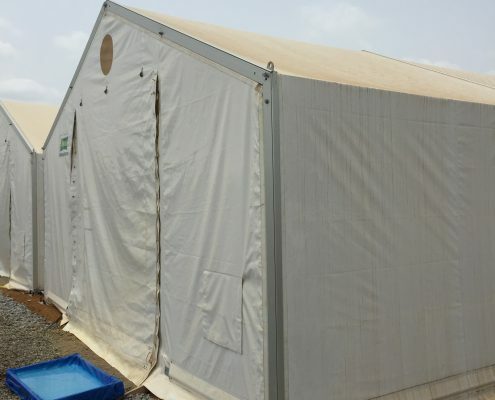 Working with Public Health England (PHE), a branch of the UK’s Department of Health, Goodfellow’s team established a facility in Makeni, where workers diagnosed Ebola and sequenced patient samples to track the genealogy and spread of the virus. 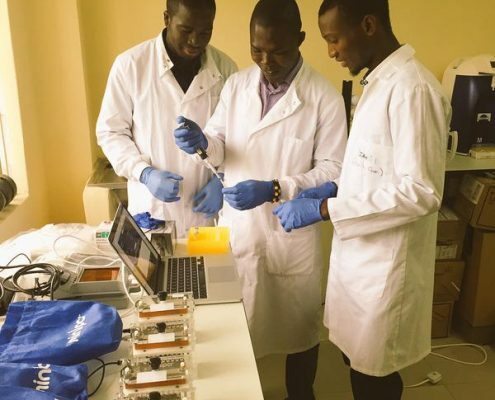 Distinguishing Ebola from other diseases with similar symptoms proved simple enough, with the team using RT-qPCR to detect levels of viral RNA expression in samples, but the team ran into trouble when trying to trace viral epidemiology. This latter task required sequencing of Ebola virus through PCR with incubation of samples at 22 degrees Celsius—not a problem, Goodfellow says, in the cooler climate of the UK, but very much a challenge in the West African heat. 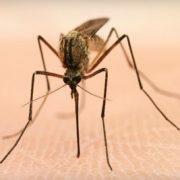 In a stroke of great luck, however, Goodfellow had purchased and brought to Sierra Leone a number of miniPCR units from the biotech startup Amplyus. 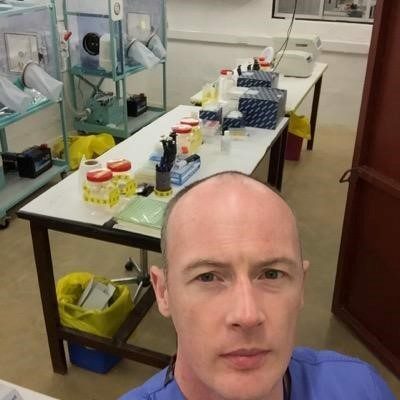 He had discovered the portable PCR systems while searching for equipment to use to train local lab technicians, seeking something cost-effective enough to leave in Africa but also sturdy and low-maintenance enough to withstand long-term use. The miniPCR, he says, fit those criteria perfectly. Yet he couldn’t have predicted how invaluable these small, self-contained machines would prove. As the facility’s traditional bench-top machines failed to descend below 37 degrees, far from the temperature necessary for incubation of patient samples, the PHE team scrambled for an alternative—and found one, rather unexpectedly, in the miniPCR. With a makeshift setup that capitalized on the miniPCR’s portability by placing the unit next to the facility’s air conditioners, the team was able to cool the samples to the requisite 22 degrees and successfully sequence the viruses.